- modified slots direction. Slots right behind glass (first two rows) are directed to outside. Rest of slots are turned to interior. Additionally four slots in area near driver are rotated about 25 degrees to driver side. *If you want use tables for Iveco Stralis you must install "Iveco_Stralis_Addon". 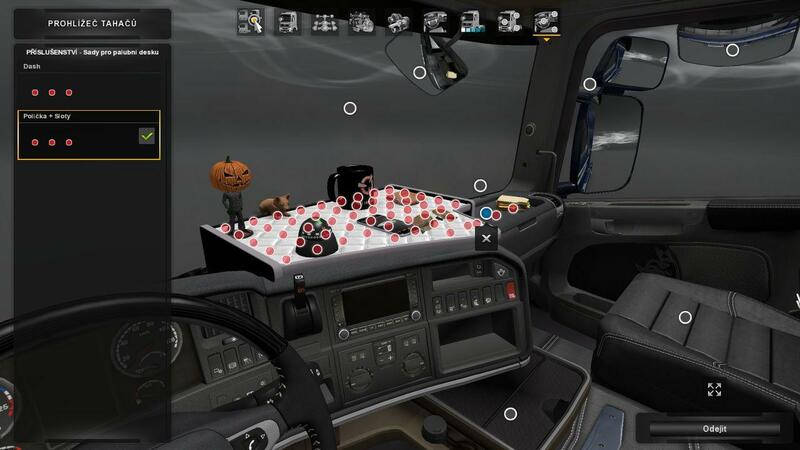 - mod also support Scania RJL, MAN by Madster and Volvo FH 2012 by Ohaha. To work for other modding trucks, just add correct definitions. - table for Iveco Hiway work only with interior from my mod Iveco Stralis XP & NP by Racing. Original model don't have "set_dashbrd" node. rename it, and use it instead of original file. You can also prepare your own texture. 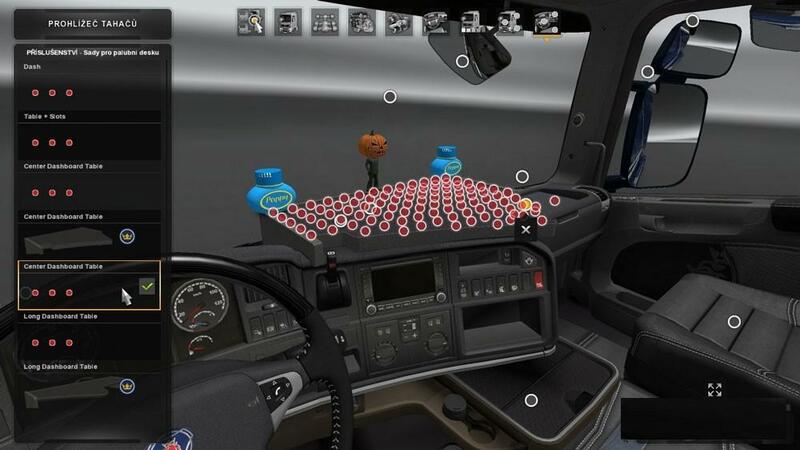 - tested on Ets2 1.30.x game version. In next versions of this mod i will add tables for rest of the trucks, but i don't plan to add every variant to every truck.